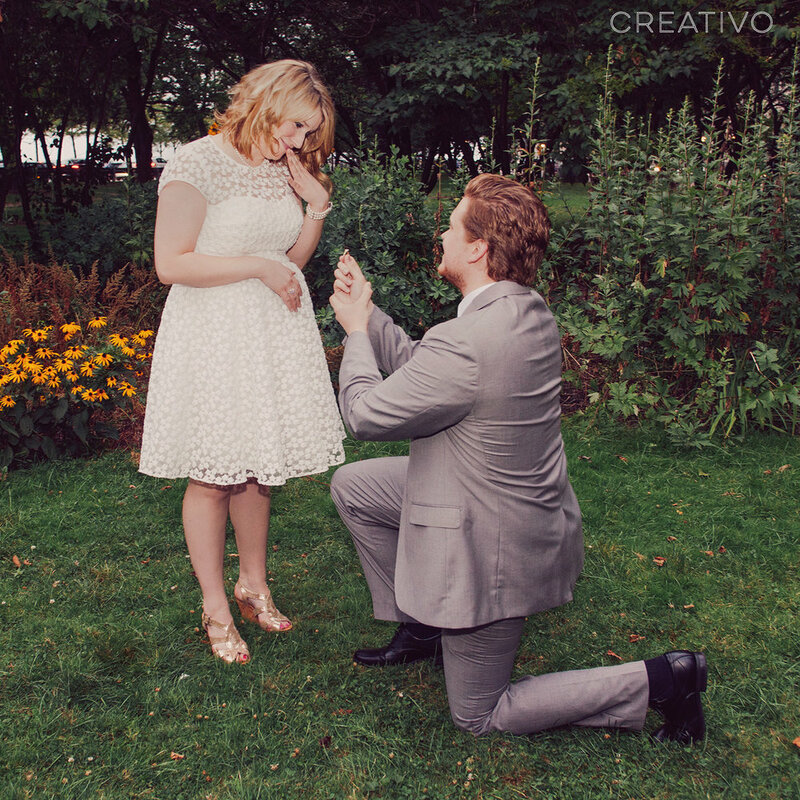 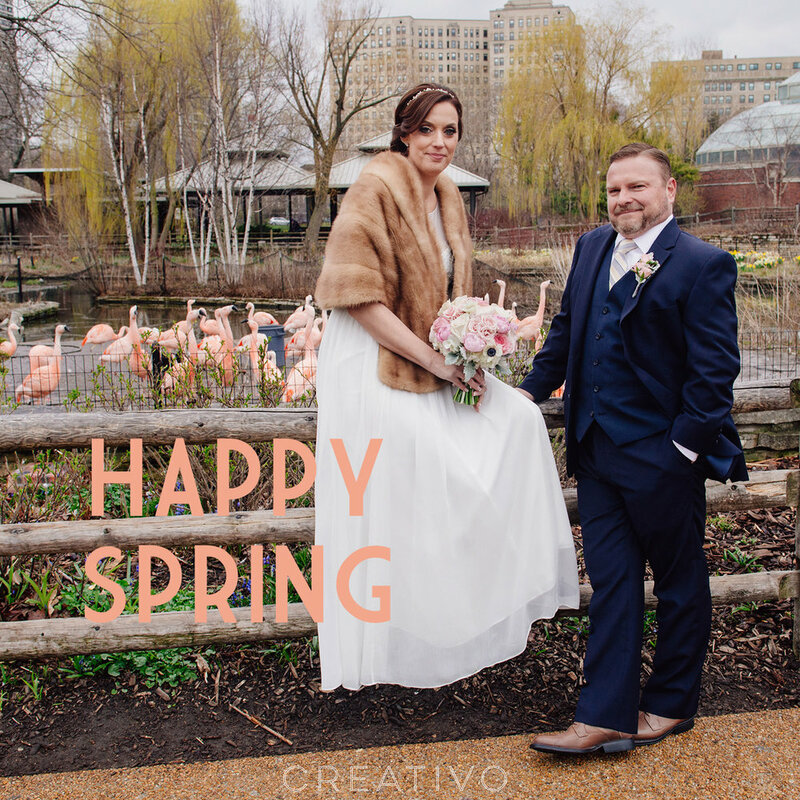 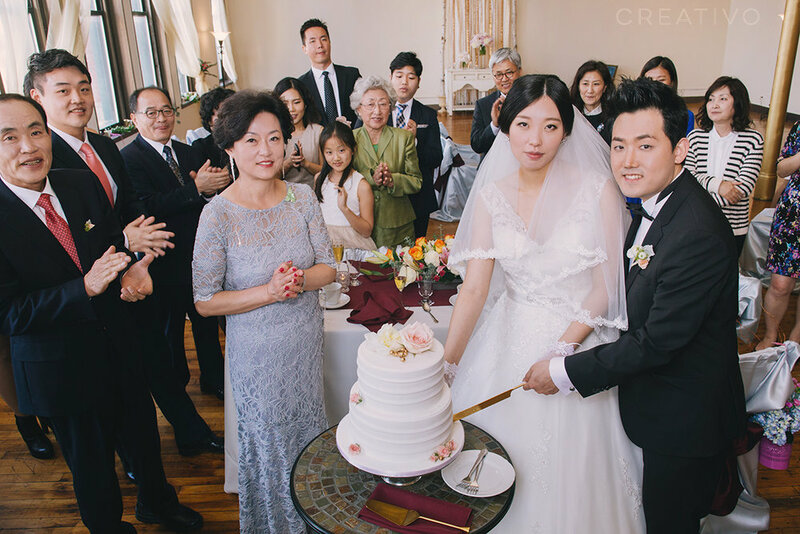 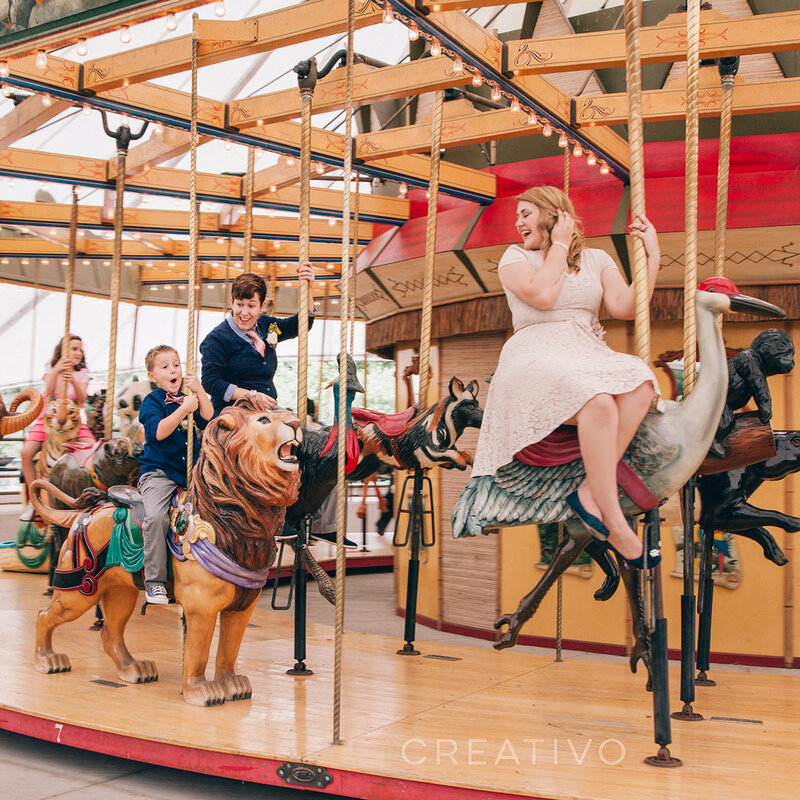 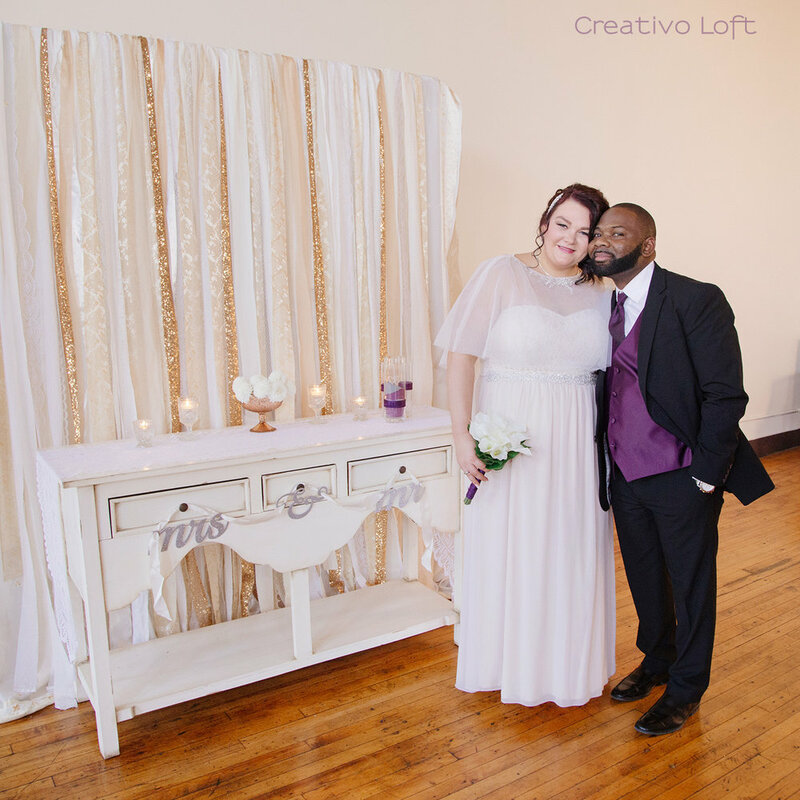 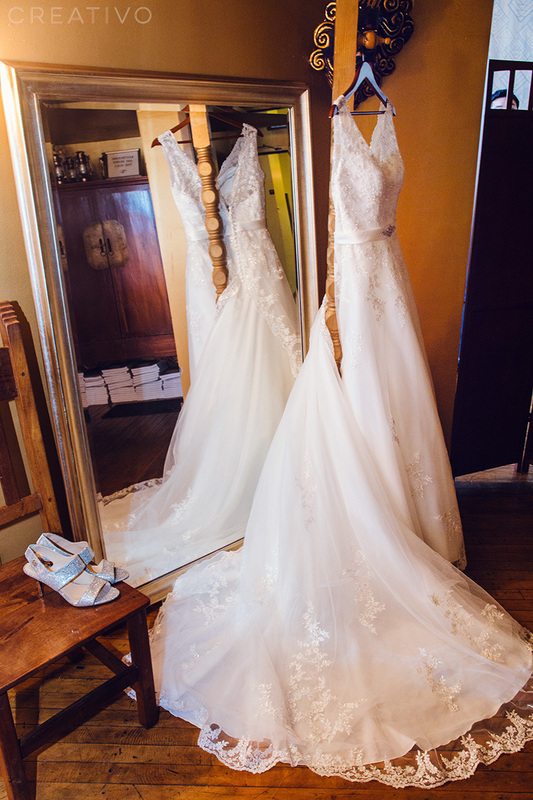 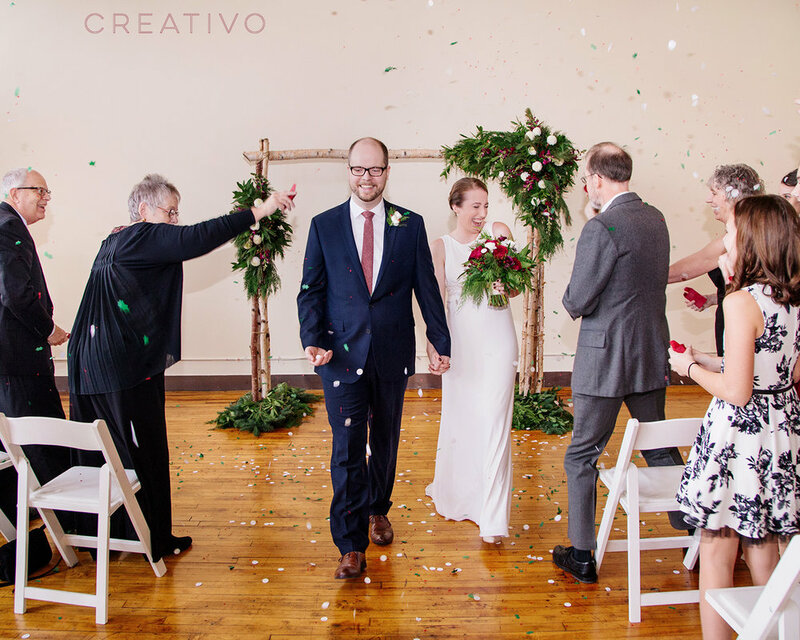 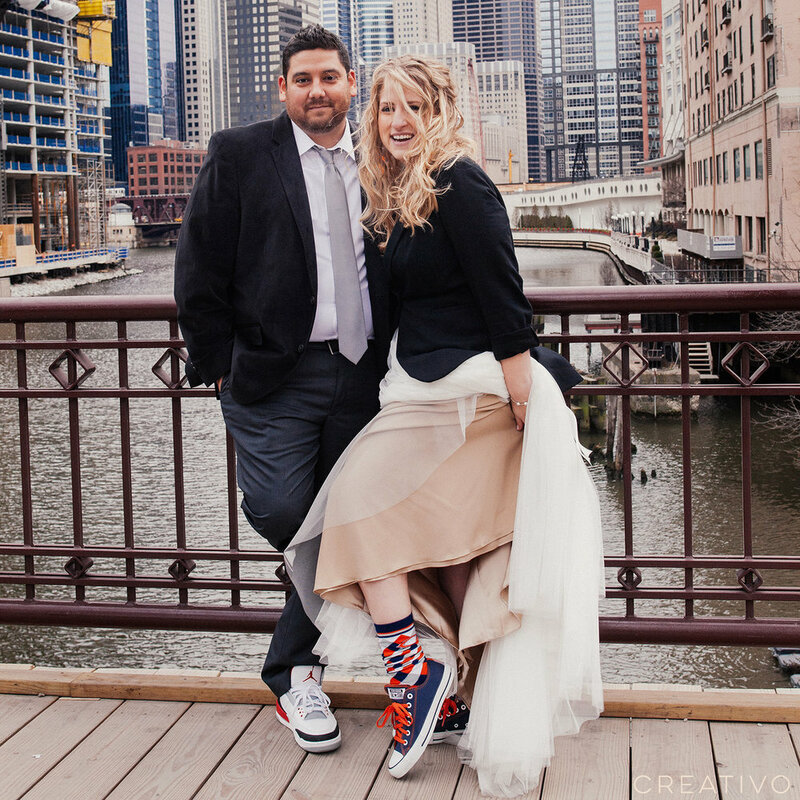 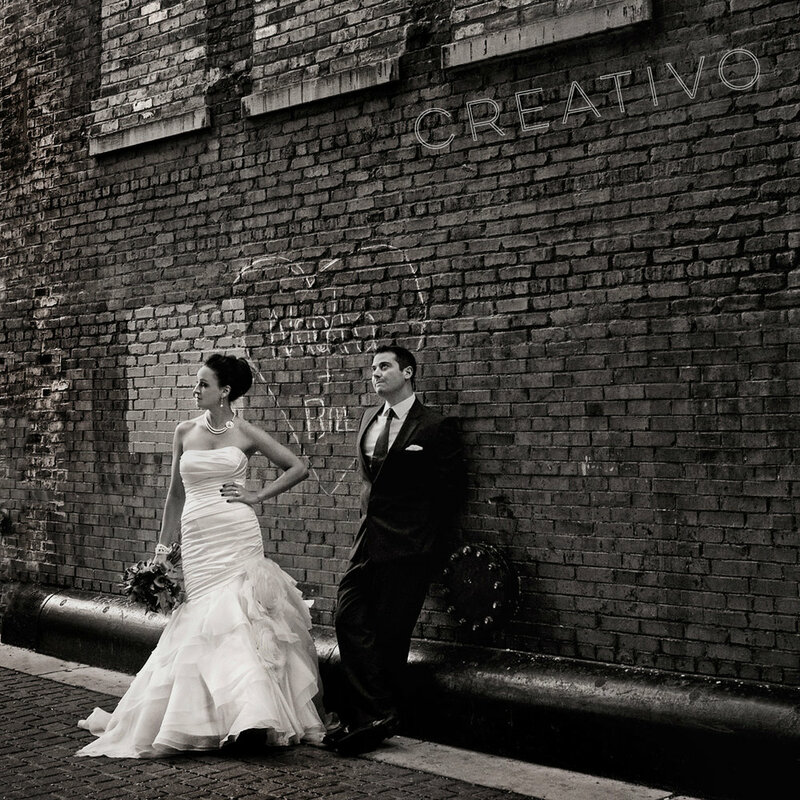 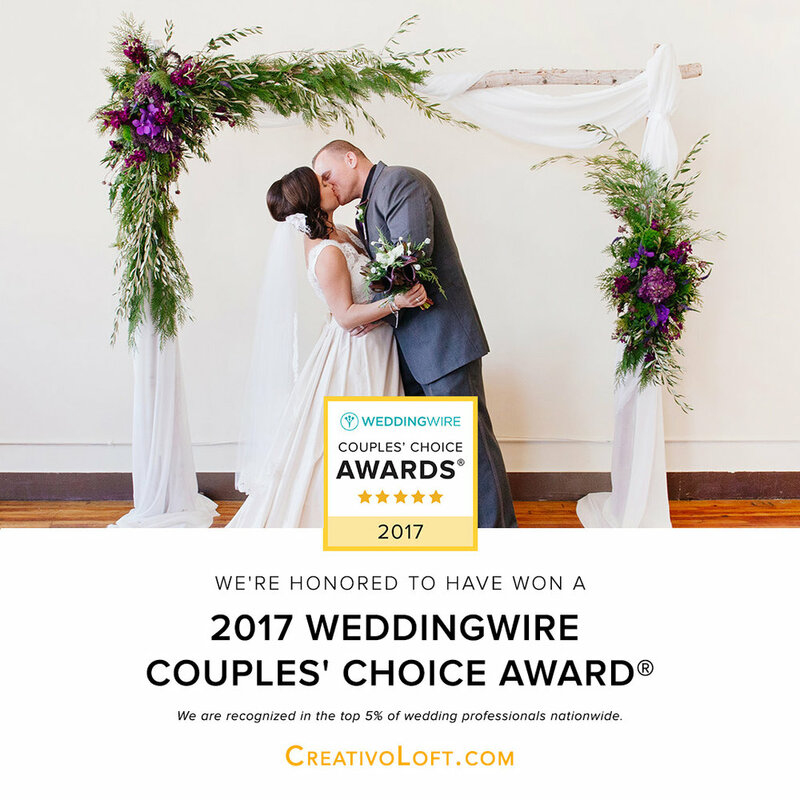 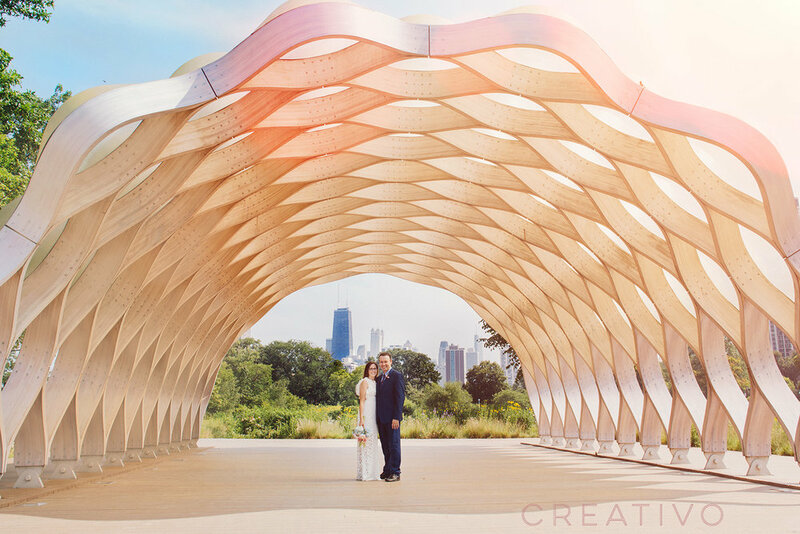 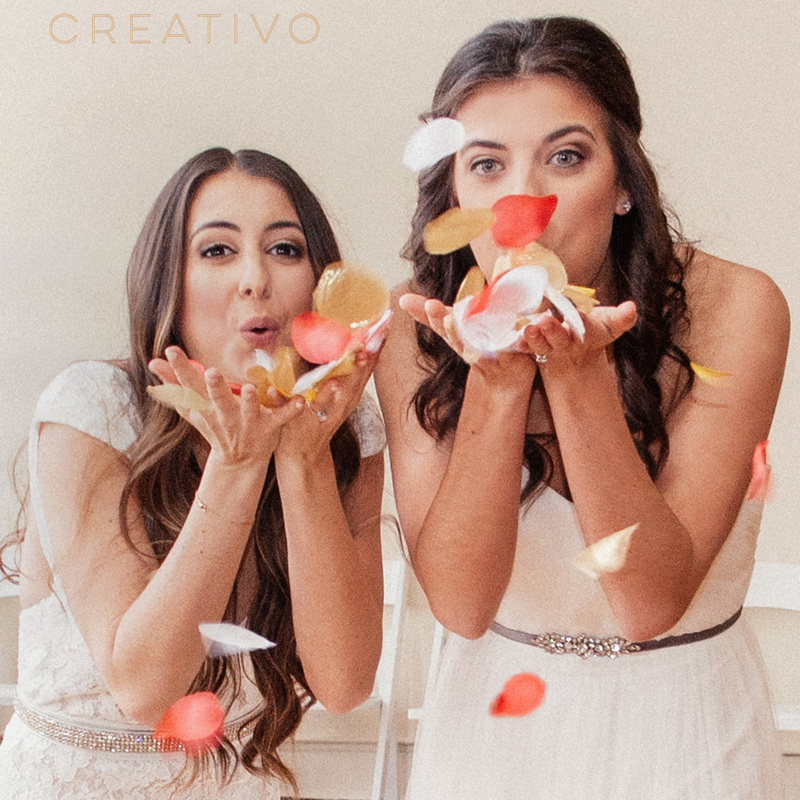 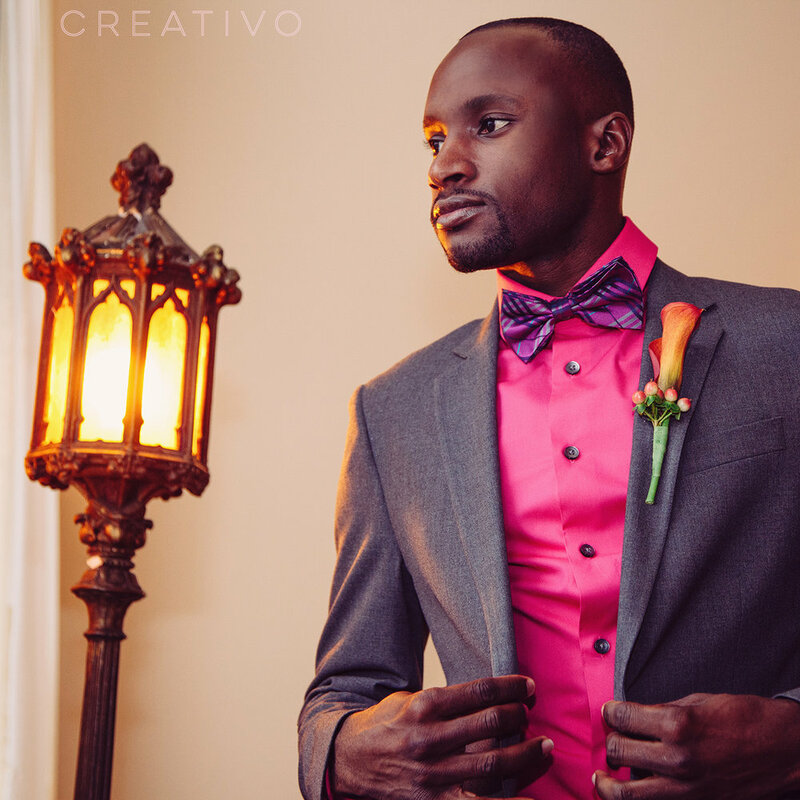 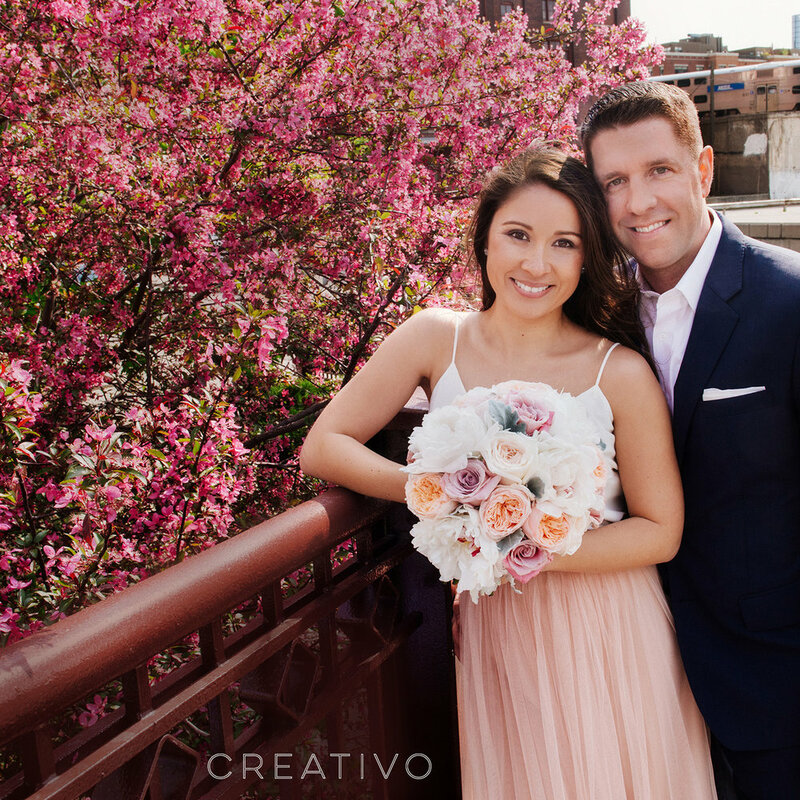 Canadian couple Haemi and Sanic celebrated an intimate destination wedding in Chicago at Creativo Loft. 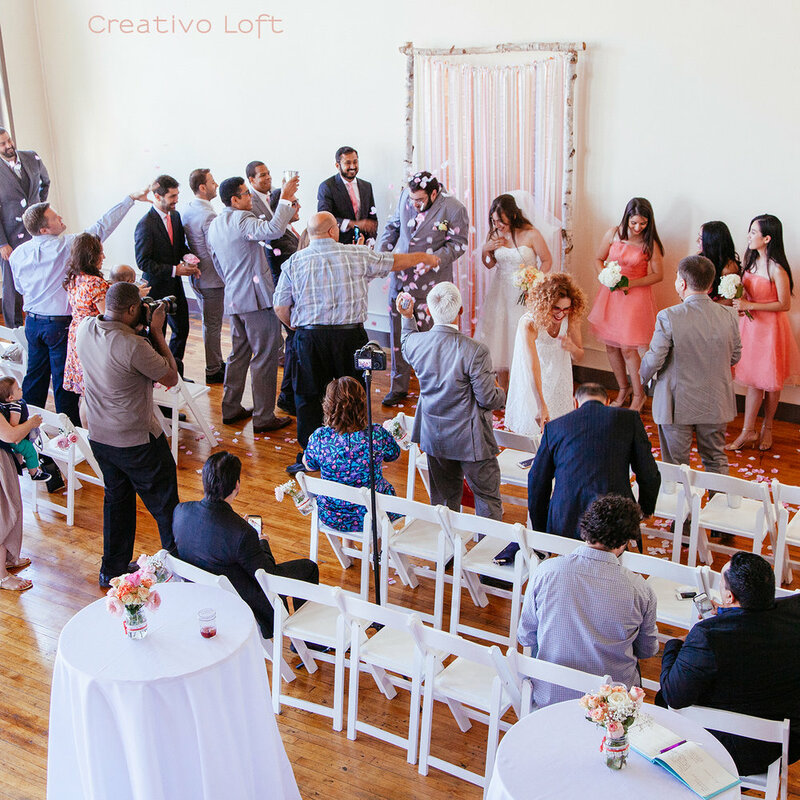 We customized our Group Elopement Package for this couple and their family for an afternoon wedding, and their aunties pitched in with some additional embellishments, including the chair covers, sashes, and pink flower buckets. 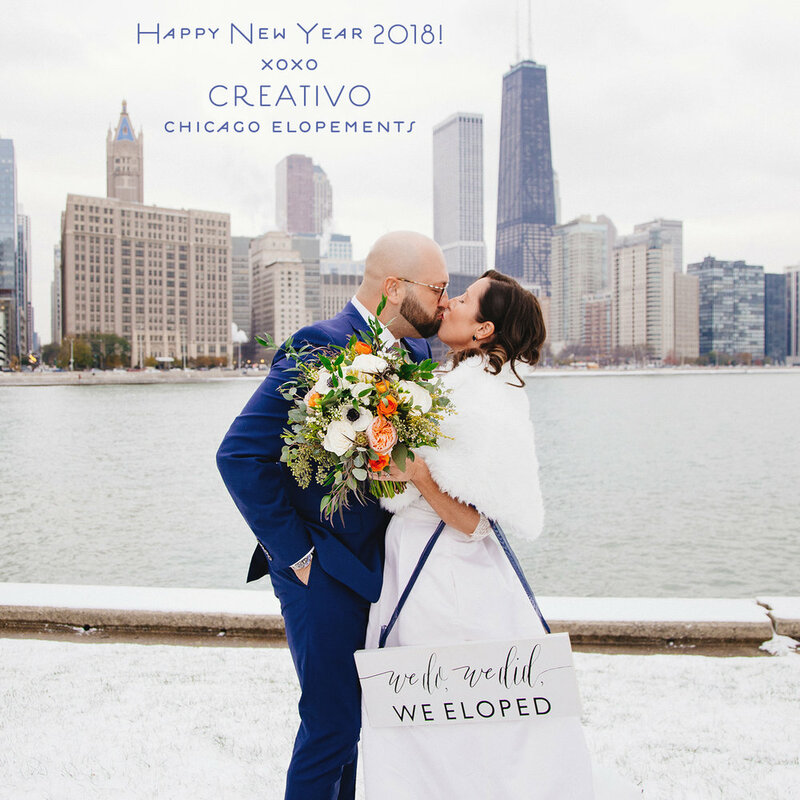 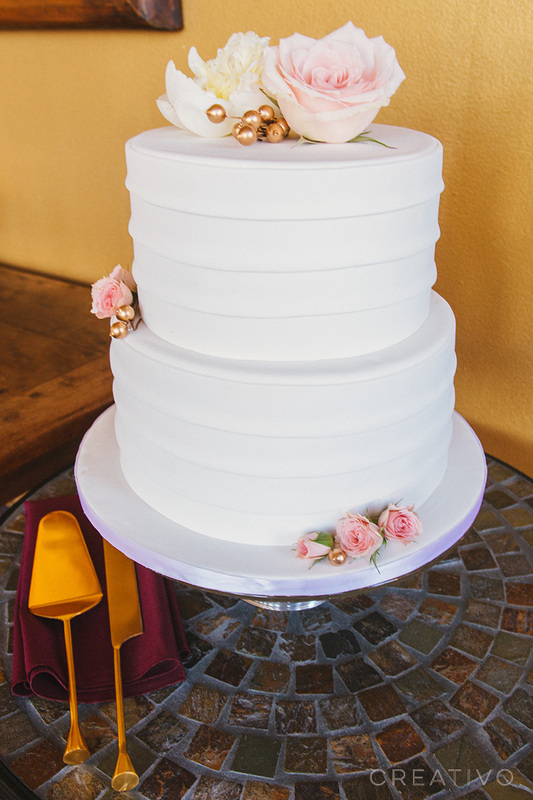 With Alliance Bakery cake, Steve's Flower Market flowers, and Creativo Photography.